Have you ever ended up at the hockey rink with your youngster watching them play and at the end of the game you had no idea what the final score was? Or worse yet, your son is the goalie and you have no idea how he is doing from one game to another or one week to another. 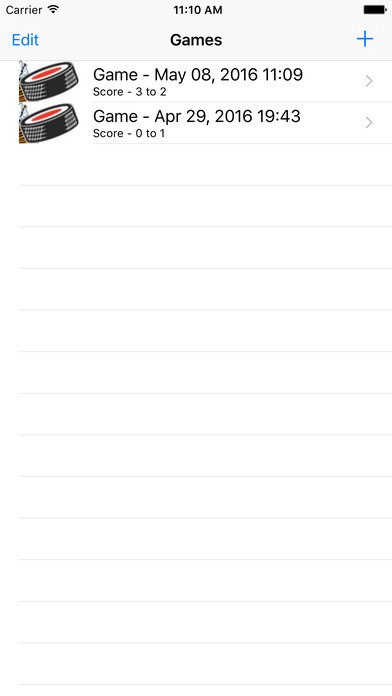 Rather than using a paper score sheet or scratch paper, we figured we’d create an app for that. 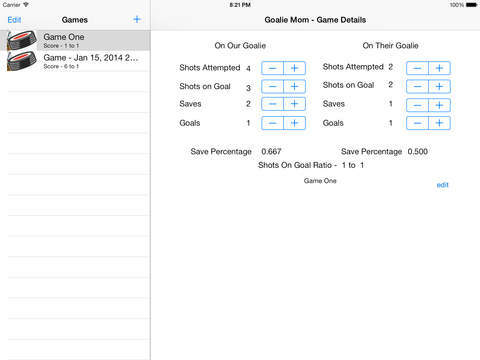 Goalie Mom will let you keep track of your shots on goal and the final score. 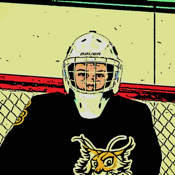 If your kid is the goalie, then you might like the Save Percentage that is calculated for each team.